There is no silverware up for grabs and neither side is on the search to collect points for title honours or to avoid relegation, writes John Slorance. However, this Saturday’s Lowland League meeting between Gala Fairydean Rovers and Vale of Leithen at Netherdale is no ordinary end-of-season affair. Indeed, there is a lot at stake, and Gala manager Steven Noble told The Southern: “The game is all about pride, Borders pride. Looking at his team’s prospects, Noble added: “It will be the fifth time we have played the Vale this season, but it’s the first time we have met them on home ground. “We have won two of the games, one was drawn and the Vale beat us in the other. Both sides know each other well and Saturday’s match should be an interesting one. 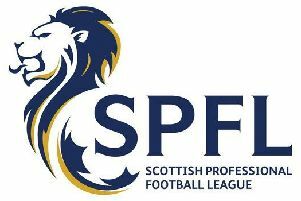 Selkirk travel to face Preston Athletic at Pennypit Park, where they will be looking to catch up with their Borders rivals. Table-topping Peebles Rovers tackle Hawick Royal Albert in an East of Scotland First Division game at Whitestone Park. Heading the race to be crowned champions, Rovers are unbeaten in the league this season. Peebles boss John O’Hara told us: “Every game is a cup final for Peebles Rovers just now. “We have a few midweek games coming up, as well as playing on Saturdays, and we need to keep on winning. “I am delighted with the results we have been getting, but we need to keep this up. Kelso United continue their struggle in the East of Scotland First Division with an away clash against high-flying Ormiston at Recreation Park. Last weekend, the Tweedsiders were beaten 2-0 by Duns (see full report on page 83) who, with another positive performance and maximum points from the remainder of games left for this month, could be in the mix when it comes to promotion to the East of Scotland Premier Division.